Scottish Veteran Ladies' Golf Association. WEST VETS SPRING MEETING -- MANY BRAVE THE ELEMENTS !! Glasgow Gailes was the venue for the much anticipated 2019 Spring Meeting of the West Vets. A total of 113 ladies entered the competition, looking forward to the opportunity to play over this fabulous links, which has been host to 32 international championships since 1927. However, the Scottish weather had different ideas. Spring was not evident over the Ayrshire links and the vets had conscious decisions to make on whether or not to brave the elements. A total of 59 ladies ventured out - and to be honest, they should all be congratulated. Others stayed inside and enjoyed a selection of teas, coffees, scones, soup and bacon rolls. The jury is still out on who made the right call! Gillian Kyle (East Renfrewshire) recorded the best scratch of the day with an 83. Best net of the day was Marion Hamilton (Kilmarnock Barassie) with 92 - 14 =78. Supervet and runner up was Anne Judge (Ranfurly Castle) with 91 - 11 = 80. You may recall that Aboyne held the finals of the County Championship in 2016 and last year the R&A awarded us the Area Finals for the 'Coronation Foursomes'. We were delighted to see so many ladies visit Aberdeenshire and we were flattered with the compliments we received about our course and hospitality. 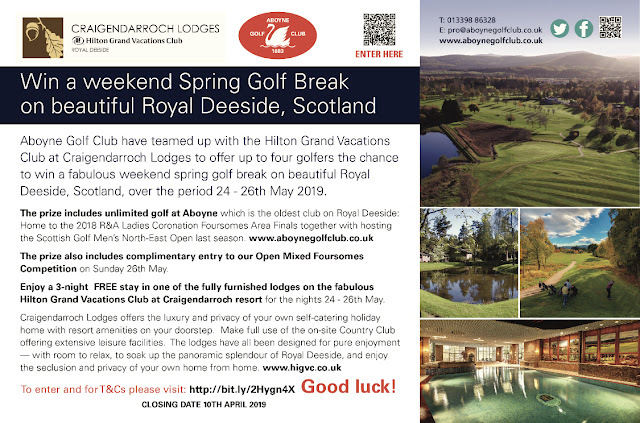 Having reviewed your details on the SG and County websites, we wondered if any of your fellow golfers in your respective counties - or indeed further afield - would like a chance of winning a fantastic FREE weekend spring break for four golfers here on beautiful Royal Deeside in the competition we are running in conjunction with the fabulous Hilton Craigendarroch resort? We hope to see you again back on Royal Deeside and take this opportunity of wishing you all a very successful golfing season. The annual Scottish Vets v Irish Vets match for the Mary McKenna Trophy was played at over Troon Portland yesterday and today - (31st March and 1st April). West Vets Gillian Kyle, Lesley Lloyd and Donna Jackson were all part of the team with Liz Stewart (Reserve). 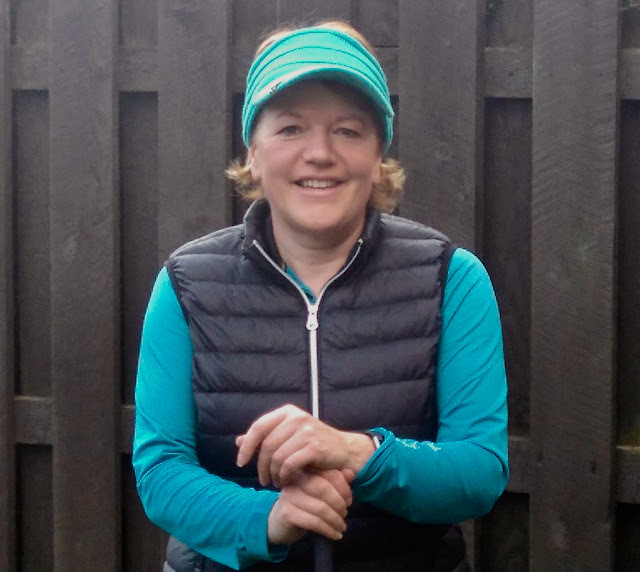 Gillian Kyle and Frances Millar beat Suzanne Corcoran and Alison Taylor 2 holes. The West Vets Spring Meeting Draw for Glasgow Gailes on April 3rd has been done. 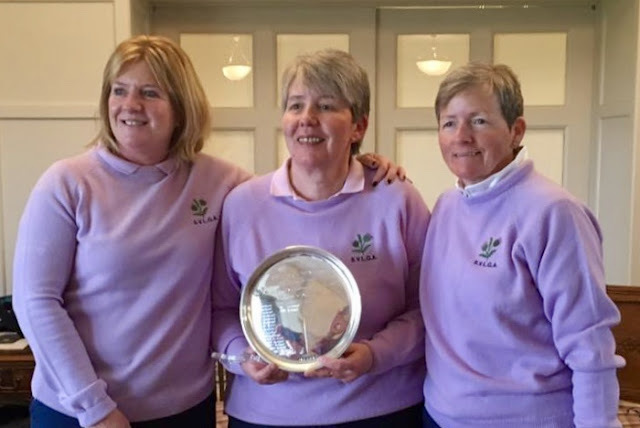 Last week West Vets, Donna Jackson, Gillian Kyle and Liz Stewart were at La Manga in Spain playing in the Spanish "Doubles" and Individual Championships. 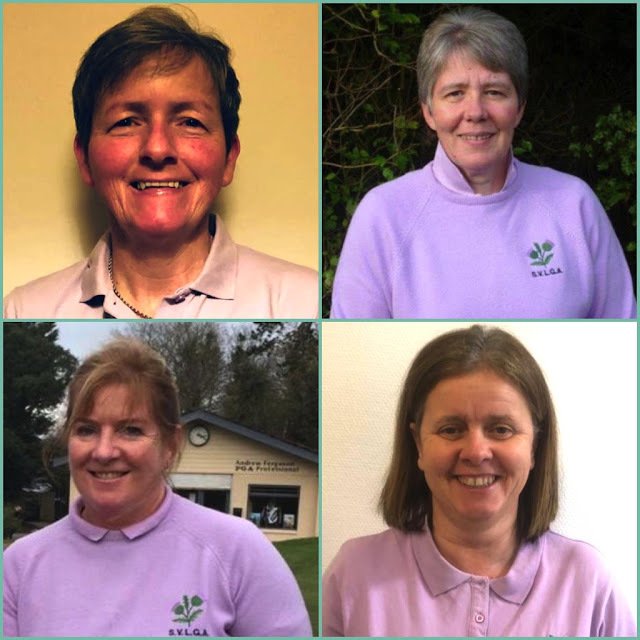 In the four ball followed by a foursomes round Gillian partnered by Elaine Moffat of St Regulas were the top Scots in 16th position and Donna and Liz played together finished in 20th position. The weather was good but the conditions difficult with a strong wind. Please note that a lot of ladies usually give their preferred tee times as between 10 and 12. It is not possible to fit everyone into those times, so it would be helpful if ladies could vary the times chosen – the early times (from 8am) and the later times are particularly difficult to allocate. Play will again be in threes on the Monday (Patrick Rosebowl) and ladies will most probably not be playing with their partners. On the Tuesday, however, they will play in the Greensomes with their partner, and with a couple from another Division. The entry fee is £62 per person (comprising £55 green fee (comprising £55 green fee and £7 for admin, prizes.) or £124 per couple. As there are more applicants than places, the Committee will hold an open ballot on 3rd April after the Spring Meeting - and all applicants will be notified of the result. It is with great sadness to notify our West Vets of the death of a past West Vets and Scottish Vet team player Mae Noble who died last week. The SVLGA and Captain Ellie Whyte are pleased to announce the following team to play against the Irish Senior Ladies for The Mary McKenna Perpetual Trophy. The match will be played on the Troon Portland course. The format on Sunday 31st March, 10am - 10.30 am will be Fourball Better Ball. On Monday 1st April, teeing off 9am - 10 am there will be 8 Singles matches. With so many quality golfers in both teams, the golf will be of the highest standard. 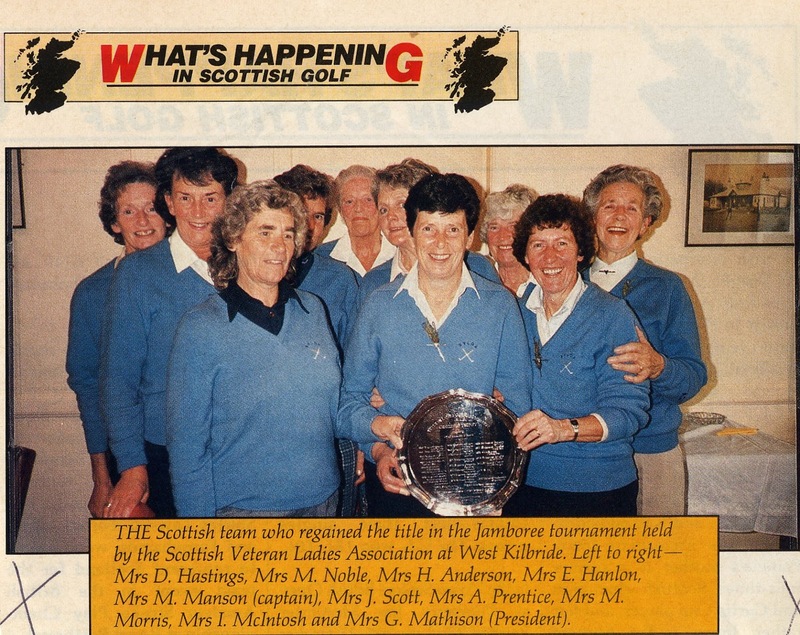 We would encourage supporters to attend especially as the scottish team includes three Troon Lady members. Wear something purple if you can !